The Rs 2,018 recharge offers unlimited local and STD calling capped at 250 minutes per day and 1,000 minutes per week. Aircel has also launched another recharge plan priced at Rs 154. Aircel has launched a new tariff plan priced at Rs 2,018 exclusively for its Tamil Nadu customers. Under the recharge, users will get 1GB of 3G/2G data and 100 SMS per day along with unlimited local and STD calling for 365 days. The new plan was first spotted by TelecomTalk, which also reported that the telco has launched another recharge plan priced at Rs 154. It offers unlimited calls, 100 SMS per day along with 2GB data for 28 days. Unlimited calling in both the above-mentioned plans is capped at 250 minutes per day and 1,000 minutes per week. They also come with benefits on outgoing and incoming calls while roaming. 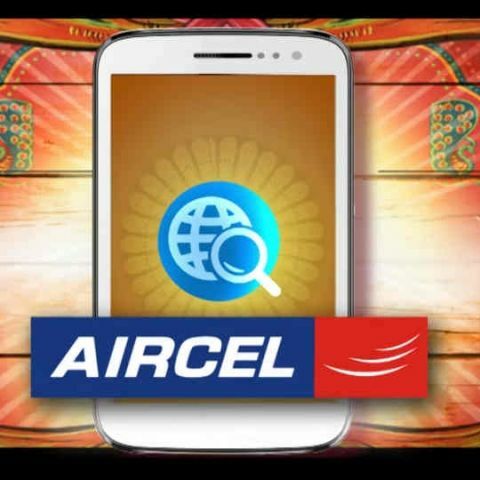 However, the report states that the outgoing voice calls in roaming are limited only to Aircel’s network. The Rs 2,018 plan by Aircel rivals Jio’s Rs 4,999 recharge, which offers 360GB of high-speed 4G data per day along with unlimited local and STD calling,100 SMS per day and unlimited access to Jio’s suite of apps such as Jio Tv, Jio Cinema and more for 360 days. The Rs 154 plan competes against Jio’s Rs 149 recharge which offers 4.2GB of 4G data per month (capped at 150MB per day) and all of the previously mentioned benefits. Could anyone please provide feedback about micromax service centres in India? Especially in Tamil Nadu ?